It made me wonder: How could something be so beautiful yet so corrupt at the same time? This building I’m describing is the “Central Office,” also known as the Orleans Parish School Board, but it represents a shiny, gleaming side of education that many of the students never see. But what I find really fascinating about all these people talking about education is that none of them are actually students of these systems. And, I have always believed that if you want to know the truth, ask a kid because they’re unapologetically honest. Therefore, I interviewed Mayela Norwood (MN), a senior at Lusher and Wilfred Wright (WW), a junior at Landry Walker. They both serve as members on the Superintendent’s Student Advisory Council. Who better than to ask two high school students. Walk me through a typical morning in your school. MN: At school I am typically walking around a lot and trying to do things for student life, which involves a lot of talking to teachers and my principal. Most of the time you’ll probably see me with my computer in my hand taking notes or on the way to some meeting. WW: Well, I walk into school around 7:30. Upon walking through the front door my bags are immediately checked and I’m forced to walk through metal detectors. I prefer not to eat breakfast because the lines are really long and the food looks like prison food. What kind of classes do you guys take? WW: I take your basic common core classes. 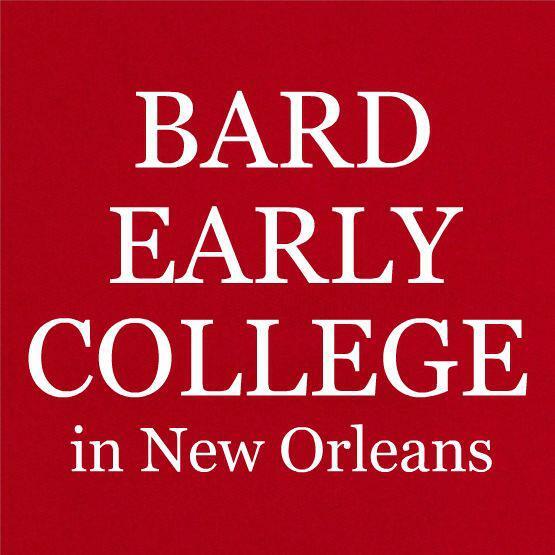 I am also enrolled into Bard Early College, and I’m a participant in College Track of New Orleans. I joined other academic programs to get the rigor my school lacks. We have an amazing band and football team that grabs the attention of many leaders in New Orleans. This is great because people are starting to notice us. Although I take pride in my school, I believe Landry Walker needs to delve deeper into education. Our extracurriculars shouldn’t be the only thing we’re recognized for. Why do you think your school focuses more on extracurriculars? WW: Well, I’m not completely sure, but I know that our band and our football team brings in a lot of money. So that could be a factor. MN: I take AP and honors level classes. I also take one Tulane course. What is your view on the academic opportunities distributed across the city? MN: I believe that the lack of opportunities around the city can be considered universal. I’m not sure that there’s more opportunities for students, but a lot of kids aren’t represented. WW: I feel that opportunities around New Orleans public schools aren’t fair. I believe there’s schools that receive opportunities, and there’s also schools that don’t. I don’t feel like it’s the location that rewards them these opportunities. I believe it’s the status of the school. The more recognition the school gets, the more opportunities each schools receives. What are your goals while on the Student Advisory Council? WW: My goals are to ensure that children who go to any school in New Orleans receive the best education no matter class or race. In today’s society you would see a school, such as Lusher, that’s more diverse in both race and class. In that school there’s AP classes and career-readiness classes. Opposed to Landry Walker, where the majority of the student body is of the minority, and there’s a minimum amount of opportunities. MN: Well, on the council I hope to put in place some things that would benefit all schools. I’d love to see more robust classes, more opportunities, and internships and experiences that students can use to explore other interest. At least it’s better than before Katrina, many argue. It is only those who live within the system who truly recognizes the discrepancy. If New Orleans Education system wants to thrive, they need to shelter all of their school’s and not only those they could profit from. A quality education should be a right, not an opportunity. Maybe then that gleaming Orleans Parish School Board building won’t be a false advertisement for our educational systems.